The criminal mind is something of a mystery. 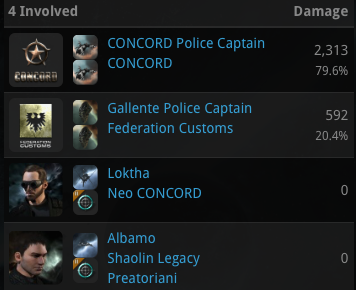 "Whatever neurosis that drives the ganker to commit his crime is compounded, magnified by flight, by the sounds of that faction police spawn at his heels. This results in constant uneasiness, which becomes paranoia, and paranoia ultimately becomes psychosis." 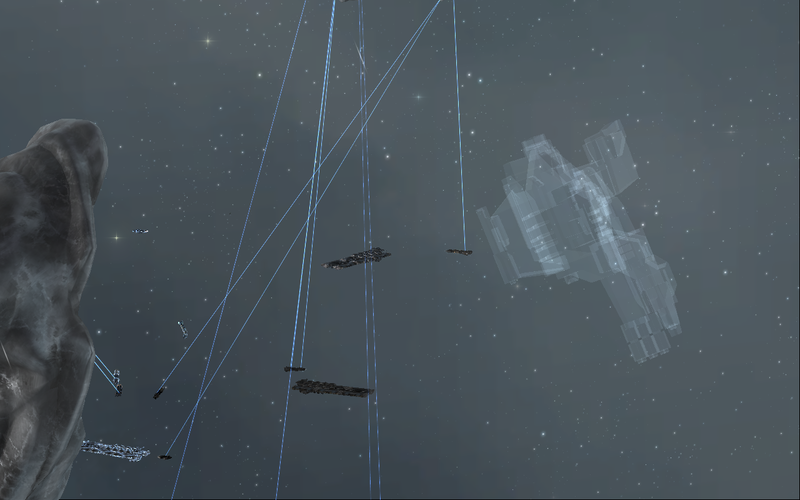 Shooting their loot ships. En masse. People with a variety of backgrounds have actually been enforcing this type of gameplay for years. (Anti-Ganking transcends corporations and alliances.) 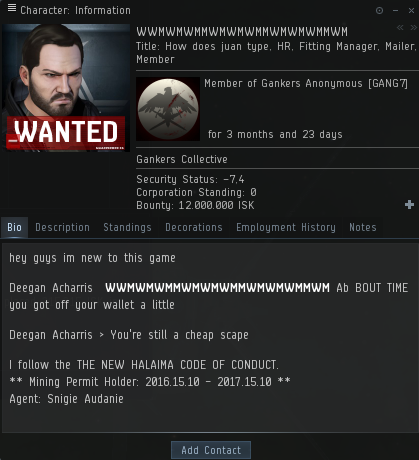 We've seen it before with Johnny Mal'Ganis for example, an Anti-Ganker who literally strikes fear into the hearts of any ganker who do it for profit around Jita, Perimeter and Urlen. 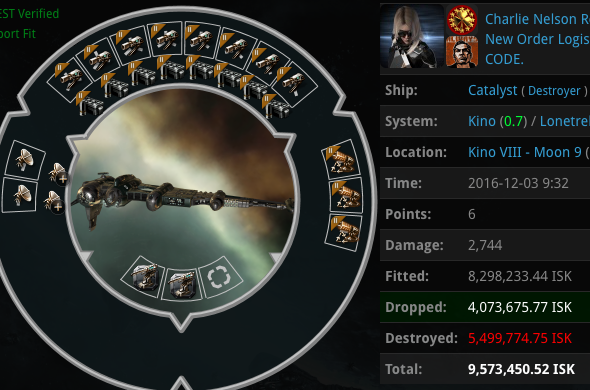 In that post alone, Johnny had inflicted a damage of over 12 billion ISK to gankers. "Damn, why doesn't this game have animated 3D portraits? It would be great to see the gankers' face expression when I catch them." 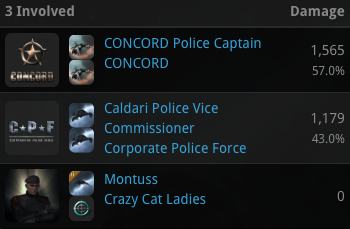 Genuine Anti-Gankers care more about Fun than ISK. The main goal is to ruin the ganker's day and having fun doing it. 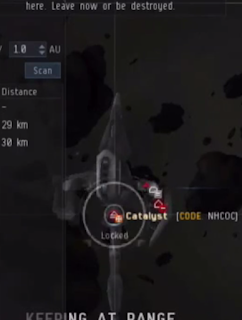 You actually play EVE when Fun becomes priority, not ISK. 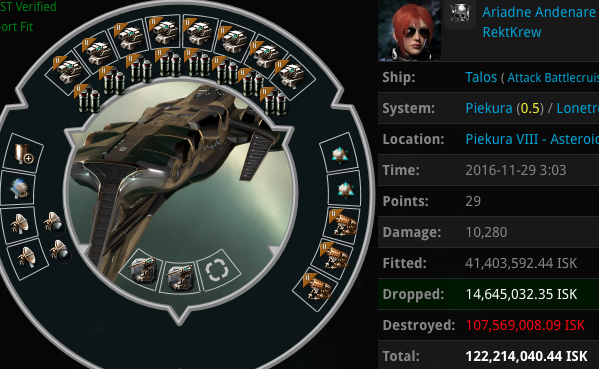 "the risk of having your day ruined by other people is the cornerstone with which EVE was built"
Ganker Gogela killed a Tayra which had dropped pretty much everything. However, a minute later, his looter Miyammato Musashi was punished by Bersagliere, whysoserios Andrard and Alexander Kaan. 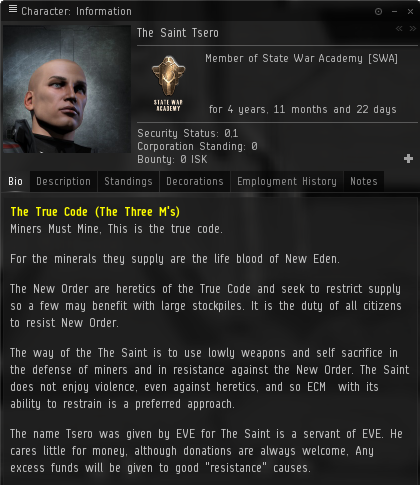 Gogela is one of the rare cases of a healthy ganker who understands EVE. Upon losing his looter, he was surprisingly calm and he embraced the mindset of "you lose some, you win some". "One of them convo'ed me, we had a talk. He said ''I will gank in Niyabainen. I know that you hunt gankers. Please don't touch me, the target is very important this time''. Oh, Damien, what have you done again? Some of you may remember Damien from the previous post. It looks like his target was saved by Sir Arthur Pennyworth's Griffin who jammed Damien's Vexor and his alt's Catalyst in Bei. In an impulse, Damien warped his pod to the Sun. p0und3r's Crow responded. 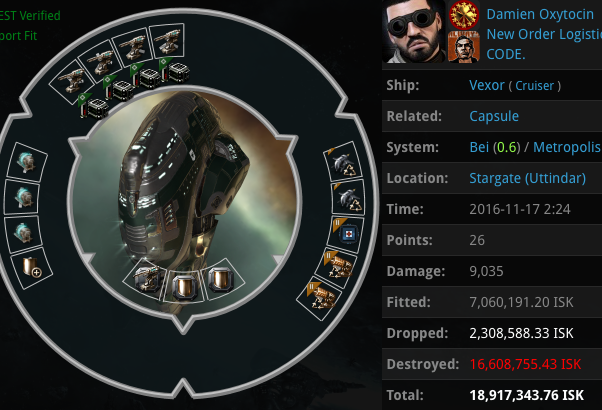 Meanwhile, a variety of miner gankers were being defeated of course, let's have quick look at some of them. 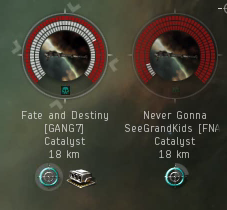 In Raneilles, gankers Fate and Destiny (beautiful name!) 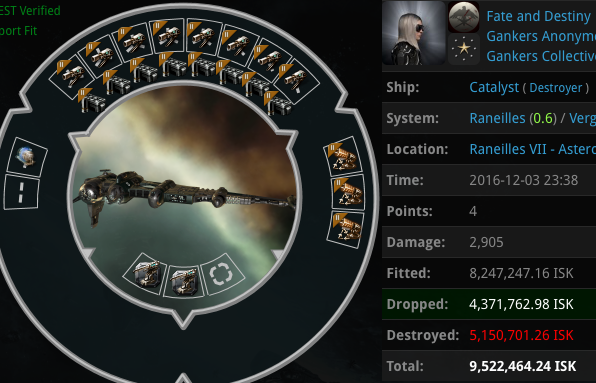 and Never Gonna SeeGrandKids spotted a Scimitar which was part of a larger Counter-Ganking fleet in the area. They wanted to gank that Scimitar, but they underestimated the vigilance of the Blackbirds and my cloaky Griffin nearby. As the Catalysts were foolishly in warp towards us, I quickly renamed my Griffin to Fopiclone's Zalcon. Our Griffin's electronics officers Jamminie Audanie and Magnetearza Thiesant activated magnetometric jammers immediately. Jamminie was appalled by the name of "Never Gonna SeeGrandKids". 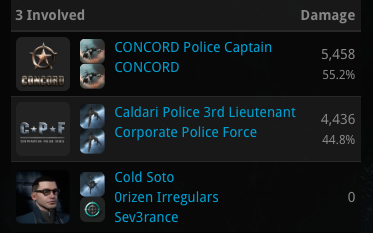 The heretics of the N-Code lost their target lock a few seconds after their landing, long before the stupid, ineffective NPC police intervention. The moment was celebrated with fireworks. Their monotonous ganking routine was enlightened by our intervention and the gank failed, Scimitar survived. 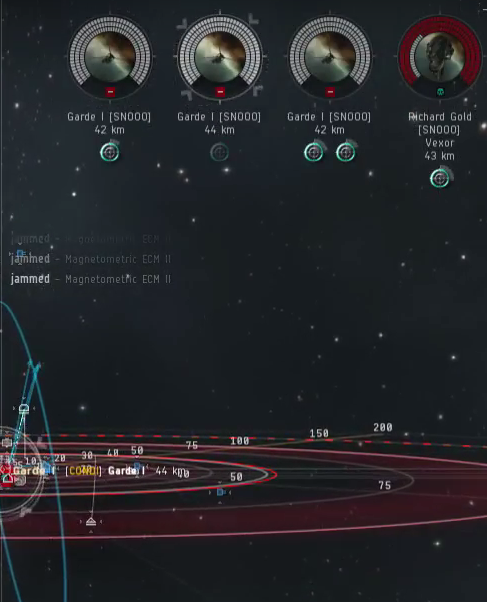 Once again, Highsec became more interesting thanks to gankers and anti-gankers. 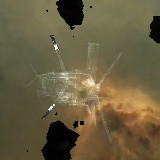 I can't understand the people who want to remove these things from Highsec. Certainly, these fun memories will be worth sharing with our grandkids. Hopefully we will make it that far. A few hours later, I received a bounty from a capsuleer with the most alien name I’ve ever seen. 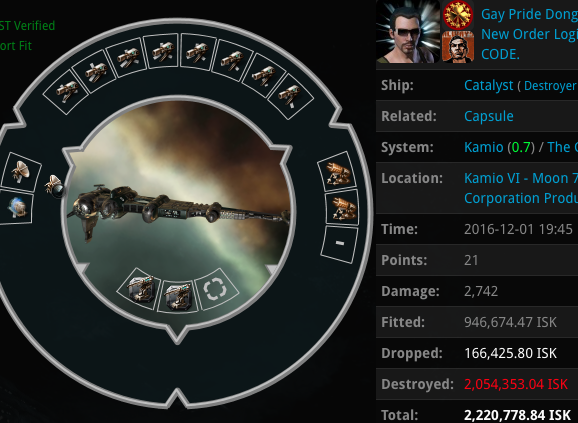 I wonder how third party EVE sites handle such exotic names. He was either a Jovian gymnast or a servant of The Mule from Asimov’s Foundation trilogy. What on Earth is that name supposed to be? Ah, Fate’s corp mate. It’s now clear. Let's move on. Ganker Sottie StuartClan is quite a known figure in Piekura. However, when there is effective resistance, his operations fail. 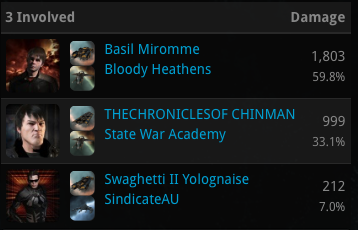 He wanted to gank a miner again but it failed hard thanks to the intervention from miners Basil Miromme, THECHRONICLESOF CHINMAN and Swaghetti II Yolognaise. 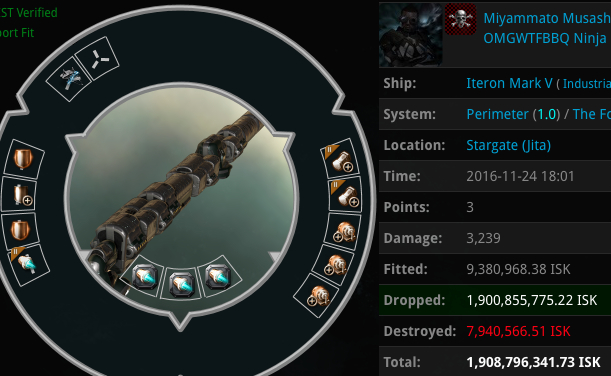 Can you see the beauty of this kill mail? There is no CONCORD involved. 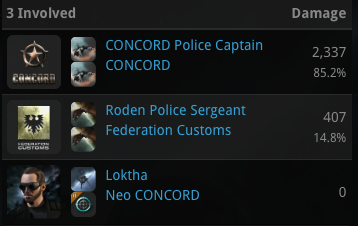 The DPS of real players was enough to kill the Catalyst before CONCORD was even around. 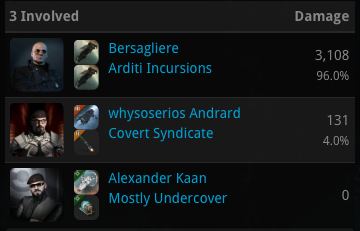 That was probably the main reason behind the gank's failure, with the additional chance of that Procurer having ECM modules. His gank failed yet again. No miner loss mail was generated. 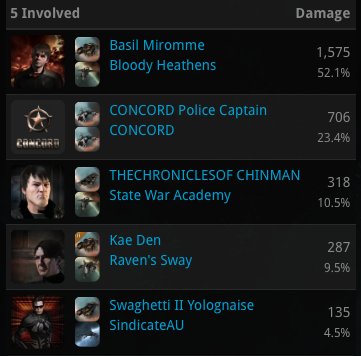 Miners Basil Miromme, CONCORD Police Captain, THECHRONICLESOF CHINMAN, Kae Den and Swaghetti II Yolognaise delivered the second punishment. Once again, the vigilant miners said "Go back to donuts CONCORD, nobody needs you." 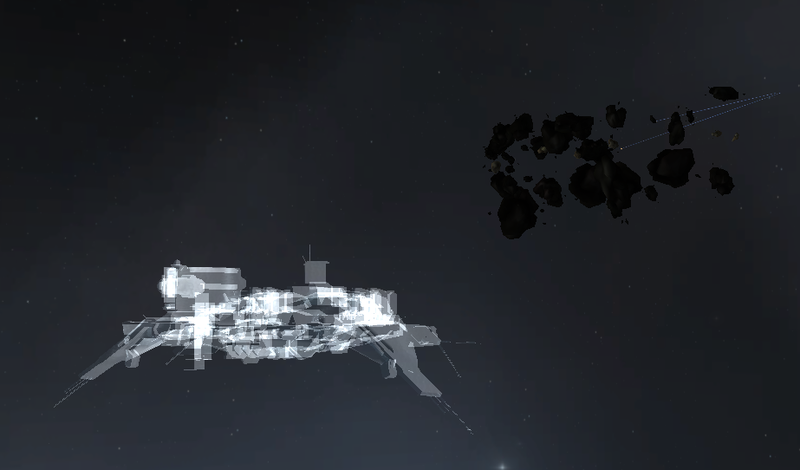 The ganker's pod was then taken care of by miners Basil Miromme and Goliath Ituin. Charlie Nelson Reilly is a new ganker yet she's surprisingly less brain-dead than the rest of her friends: she knew how to counter ECM. However, she still didn't have a ganking permit. Tsk! Anti-Ganker Montuss didn't like it and said No. 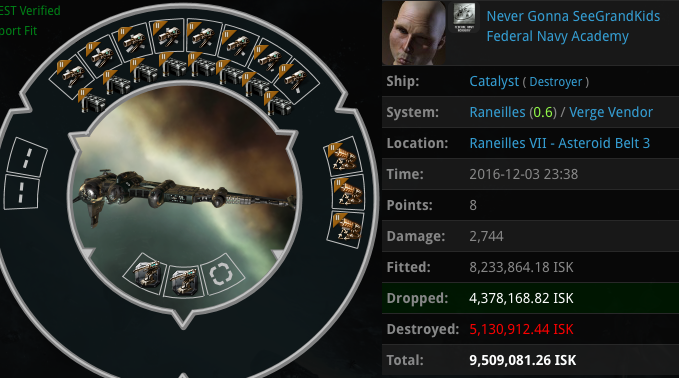 Charlie Nelson's gank failed to generate a miner loss mail. Gankers Adelaide Brooke and Ariadne Andenare didn't understand it: no ganking permit = no gank. 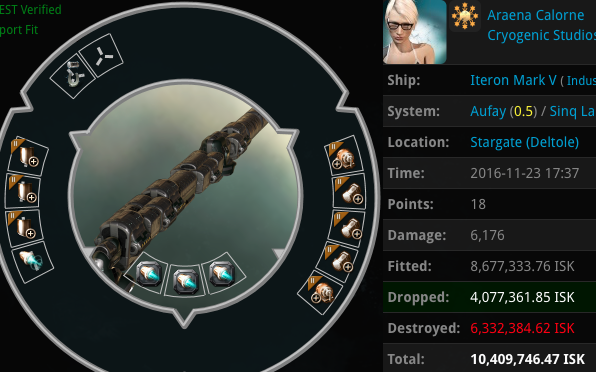 They brought massive DPS with two Taloses to gank a Porpoise in Piekura. Nevertheless, they got jammed out by Cold Soto's Griffin. The gank was stopped successfully. 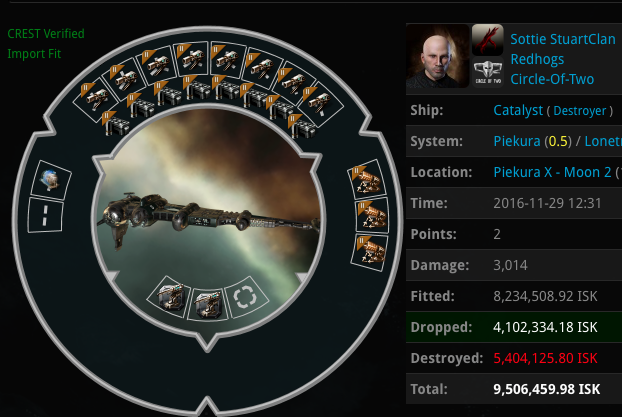 This is an interesting example that can be shown to angry carebears out there who keep complaining that gankers use cheap ships to kill 200 million ISK ships. 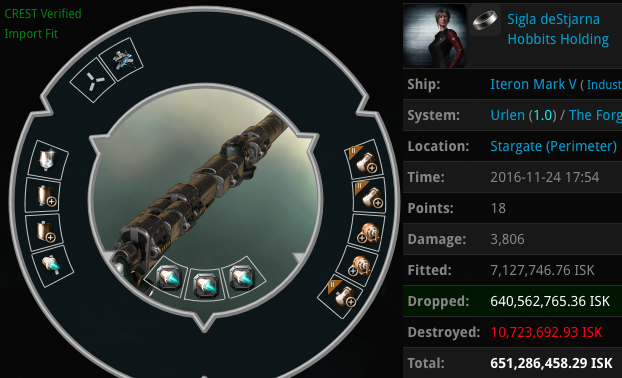 Cold Soto used a 1 million ISK Griffin to stop two Taloses of 244 million ISK in total. Countering gankers and ruining their operations is in the game mechanics itself. 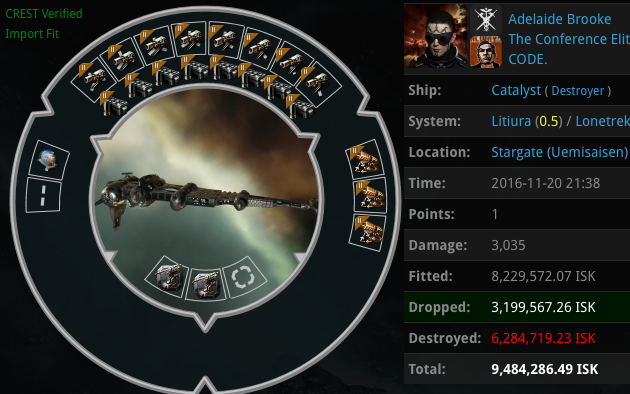 Adelaide was heading to a target again but her outlaw Catalyst (free to shoot at for everyone) got tackled at gate by a small fleet composed of Caterina Corinthia, spike Isu, Vi Alvary, Loyalty Ellecon, Ion Nizer, Revarak, Marx Rudian, SilverFoX Katelo, Ksekoliaris, Feodoros, Piano Saken, Daemon Koabd and Theresa Chaser. 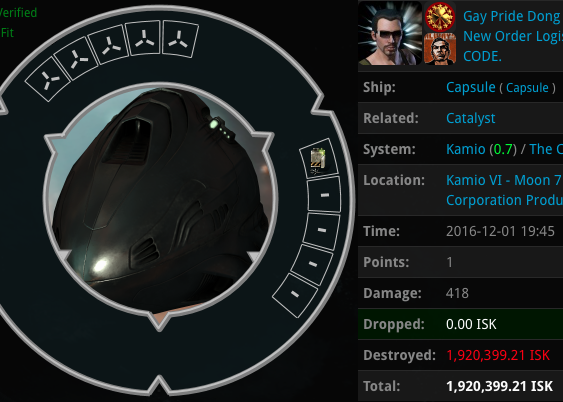 When I say "Anti-ganking transcends corporations and alliances", I mean this. Obviously, Adelaide experienced the "wrong place wrong time" situation. 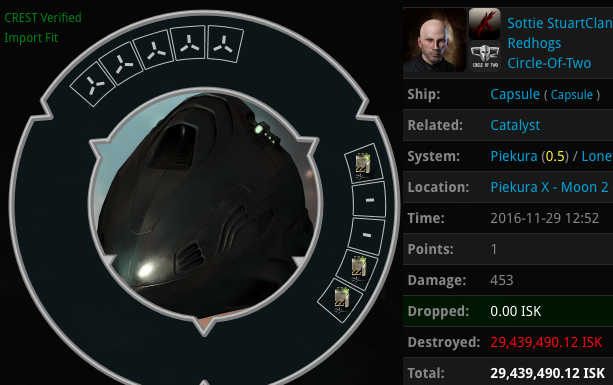 Veteran Anti-Ganker Armand Patrouette in a Falcon. That is a problem. 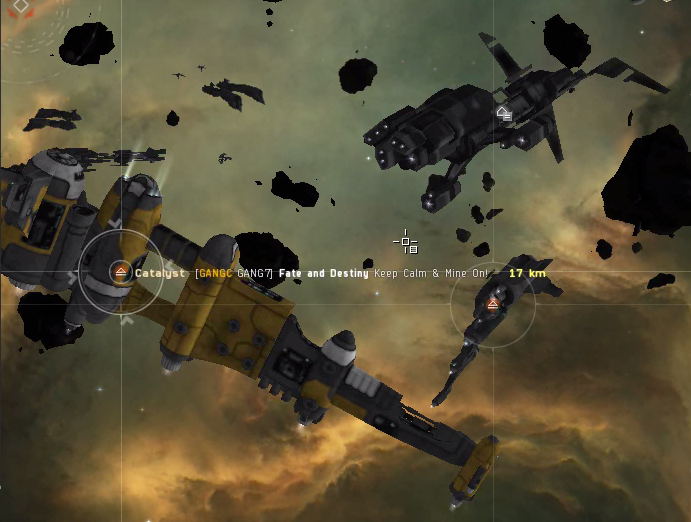 A strong triple ECM projection was delivered from the Falcon to the gank-bots. Another gank was prevented, no miner died. 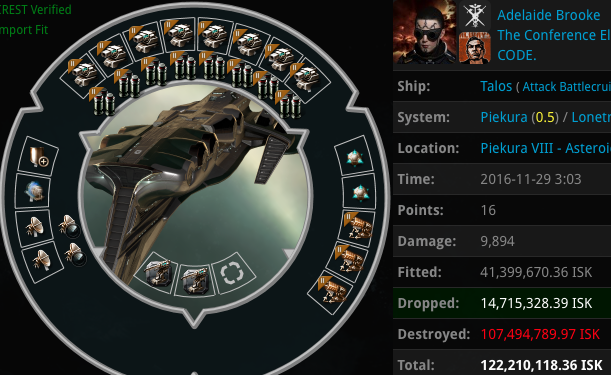 Shelley Tortuga engaged the 3 Catalysts (the same gang as above) with his Falcon and minimized their DPS. No miner loss mail was generated. Another gank was prevented. 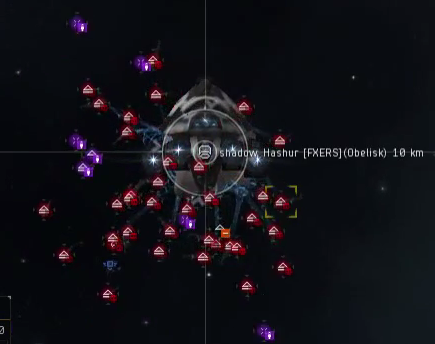 Meanwhile, one of the ganker's corp Shooting Blues Everyday was temporarily renamed to Getting Jammed Everyday. Skeptics, heretics, denialists and brain-washed gankers will always say things like "Anti-Ganking is a myth" or "AG fails". The interventions illustrated above are just a small, partial list of the many recent successful actions from a variety of Anti-Gankers all around Highsec. I don't see a myth, dear. I see a surging reality.